President-elect Donald Trump has pushed a protectionist proposal that could to force Apple "to build their damn computers and things in this country." It's a suggestion that has been outright dismissed by most observers —but should it be? Editor's note: This article was originally published by AppleInsider in January when Trump was a Republican candidate for president. It has been updated and republished to reflect his election. Trump's campaign promise is based in part on the imposition of a 35 percent tariff on products manufactured overseas. This would, he believes, give companies a significant economic incentive to bring manufacturing jobs back to the U.S. There are more than a few holes in this line of reasoning: It would be diplomatically disastrous, and there's no data to suggest that an American manufacturing sector built on a foundation of heavy industry would be nimble enough to take on this kind of challenge at a large scale. Nonetheless, the president does have the power to impose protectionist tariffs, so let's see how Apple could handle it. Before you read on, it's important to note that we're performing a somewhat naive analysis: We're focusing on what essentially constitutes final assembly, and ignoring the very real economies that come from having nearly the entire supply chain around the corner. Employee wages are almost always the first factor cited when discussing manufacturing in the developing world. Shenzhen has one of the highest wage floors in China, and its minimum statutory wage clocks in at around ¥2,000 —about $300 per month. That's less than a quarter of what it would cost for an employee working a nominal 160-hour month at Wyoming's $5.15-per-hour minimum wage, the lowest in the U.S. If we assume the fully-loaded cost of a single employee is 1.5 times their salary, that works out to around $1,200 per month. 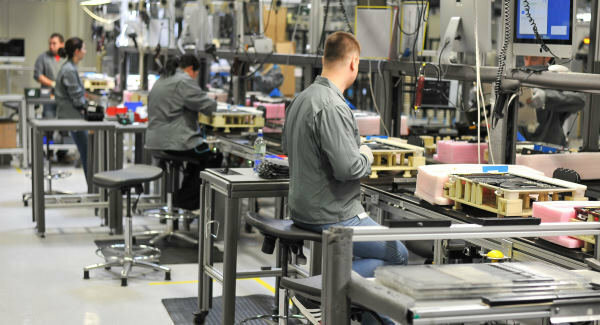 One U.S. employee costs four times as much as a single Chinese employee. Of course, Apple would likely continue to contract with third parties for their hypothetical new U.S. assembly plant —as they've done with Flextronics in the Mac Pro's Texas facility —making them responsible for a smaller portion of employees' compensation. That's still a significant jump, though. So how to solve it? The easiest path forward would be to erase labor costs entirely by building fully-automated factories. They've certainly got the pedigree; Steve Jobs spent exorbitantly to build a robotic factory for NeXT in the company's formative days. Unfortunately, it's not as easy as just calling ABB and ordering a few 'bots. Each robot must be programmed —and in many cases, designed from the ground up —for its specific task, and there are some jobs that still require levels of dexterity that robots simply can't achieve. They're also expensive, with basic off-the-shelf models coming in at $10,000 to $20,000 each and more complex versions running as much as $100,000. 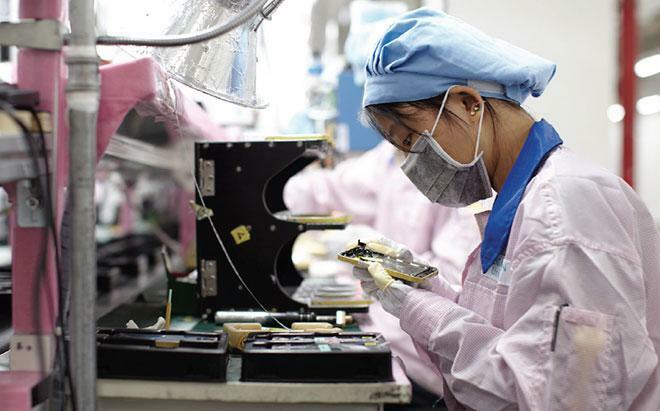 Taiwan-based Foxconn is thought to have around 350,000 employees dedicated to iPhone assembly —that's $12.25 billion worth of robots, assuming an average cost of $35,000. Of course, the richest company in the world could afford it, but it wouldn't help much when you consider that many supply chain guesstimators currently peg labor costs at no more than $5 per iPhone. Don't forget that they'll also have to make Macs, iPads, Apple Pencils, Magic Trackpads, and the rest of Apple's product line —which means more robots and more infrastructure. No matter how creative Apple gets in restructuring its manufacturing operations, there's simply no way they could absorb a 35-percent increase in overhead. That cost would be passed on to consumers, making the $649 base-model iPhone $876. And those same consumers would also have less money to spend, because the massive multi-billion dollar investment in industrial robotics will likely have put at least a few more blue collar workers out of a job.